MOBBED! Exclusive Photos From the Set! Our Hollywood Junket reporter was on the set of Howie Mandel’s FOX hidden-camera show, “Mobbed” last week during the filming of new episodes. See photos below! Howie Mandel on the set of "Mobbed". Howie Mandel filming his show, "Mobbed". 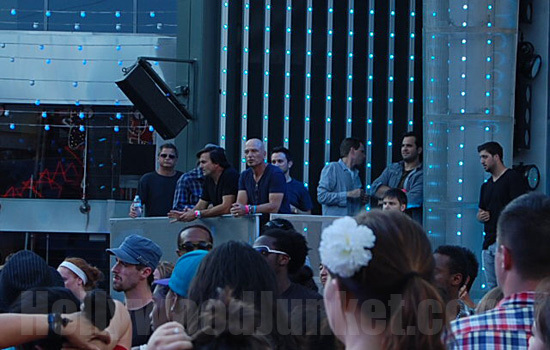 Howie Mandel among "Mobbed" dancers & crew.